… I wanted to share a thought I had while I was writing my Inception article on Friday. I didn’t say anything then, because it’s always safer to deal entirely with facts, facts, facts, but sometimes a little conjecture can be fun, and I’m not the only one. I think there’s a good chance that Inception co-star Marion Cotillard will end up as Selina “Catwoman” Kyle in the next Christopher Nolan Batman movie. My good friend Bill “Jett” Ramey, the hardest working Batman fan on the planet who runs Batman on Film (and for whom I write lots of Batman comic book reviews), wrote this piece about how the filming of Inception might affect the schedule for the next Batman. And at the end, both he and an industry friend share their hypotheses about Cotillard’s chances at being Selina. We all know Nolan likes to work with many of the same people. Cotillard is a dedicated, well-regarded professional, and she’s sort of absolutely stunningly gorgeous. If Selina does appear in the next Batman movie, I hope they keep her origin as far away from the Frank Miller Batman: Year One version as possible and do instead what Jeph Loeb and Tim Sale did with her in Batman: The Long Halloween, Batman: Dark Victory, and Catwoman: When in Rome. I highly recommend that you seek out and read those comics, each of which is available in a handy trade paperback collection. Let’s just say that Selina has a ceratin connection with someone we met in Batman Begins. And in When in Rome, she has a great storyline involving The Riddler, whom I’d love to see in a Nolan Batman movie. 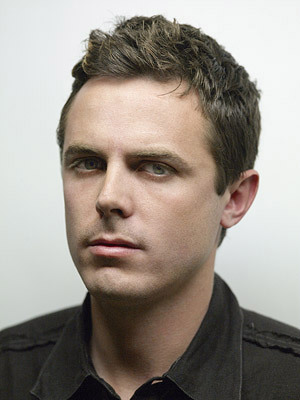 My choice remains Casey Affleck. Take his confidence from Gone Baby Gone and mix in some of the creepiness from The Assassination of Jesse James by the Coward Robert Ford and you’ve got one scary customer. hmmm… interesting choice Marion Cotillard for Selina/Catwoman, I believe that Selma blair could’ve do the part, too bad that she doesn’t know how to act, LOL. Casey Affleck for The Riddler, also interesting, i would go more on the Paul Gimiattty. THE NIK! You grace my page with your presence. I will definitely seek that movie out! I’m really curious about her roles in Public Enemies and Inception, so I’ll consider this happy homework. Thanks for the recommendation. Also, Jason, I like Giamatti for The Penguin. And so does Giamatti; I’ll try to find the video where someone asks him about it and he says he’d love to do it. If you haven’t seen him in The Illusionist, I highly recommend that. I bought The Assassination of Jesse James by the Coward Robert Ford and Gone Baby Gone on the same day and was blown away by how good Casey Affleck was in both of those films. Plus he was hilarious in Ocean’s Thirteen; his scenes leading the labor revolt in Mexico were my favorite storyline in that movie.